The Severus modern black rust proof letterbox outdoor path light with 3w LED is rated IP65 and suitable for external use. Landscape letterbox body constructed from black polycarbonate fitted with warm white LED. The flat design means that the light is spread evenly in all directions over the path or steps. Simple to install and energy efficient thanks to the installed non-replacable warm white LED lamps that have a life expectancy of 25,000 hours. Supplied with a 5 year warranty. Please note: This light is designed to give a small amount of light to illuminate hazards such as steps or pathways. 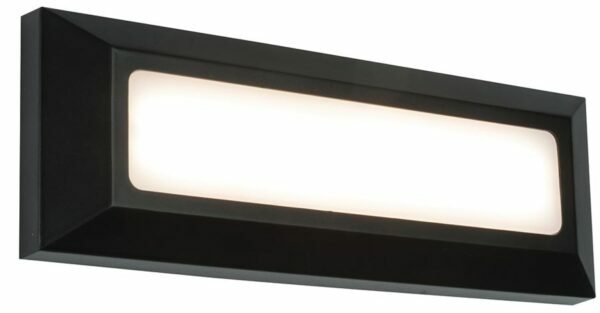 It is not suitable as an outside wall light to illuminate a large area.